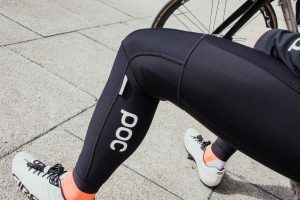 POC’s Essential collection includes some sleek cool weather riding gear. 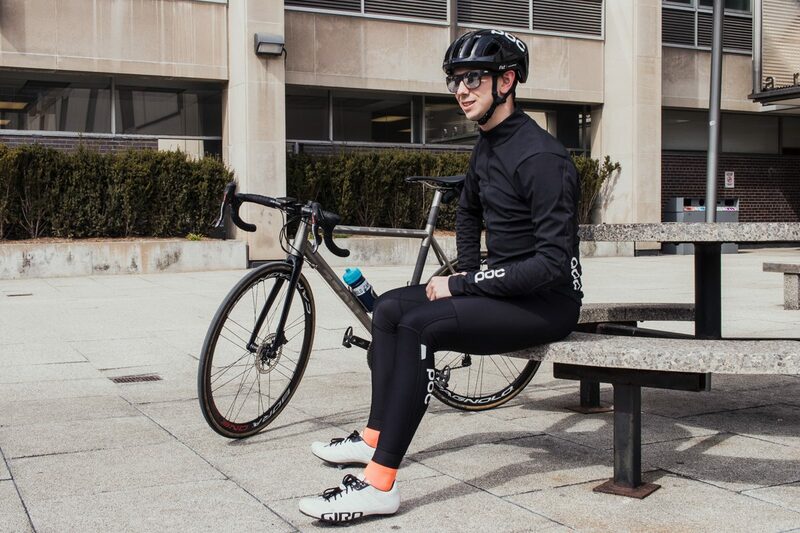 The Road Windproof Jersey and Road Thermal Tights are examples of the type of gear that certainly merits the essential label as at certain times of the year, you simply won’t be riding if you don’t have good cool weather riding gear. The jacket is windproof with a light softshell outer to cut the elements over a range of conditions while the thermal tights are warm with an excellent form for cold weather riding. Let’s look at how these pieces withstood the elements and why they are a worthy addition to any wardrobe. I was thoroughly impressed by how well these POC Essential pieces fit. Not too snug but also not overly relaxed. The jersey has panels on the front, sleeve and shoulder that are treated with DWR for some protection against road spray and light rain. The material is thin but very effective. There is minimum insulation making it very versatile with the use of base layers of varying warmth extending its use into cold weather and lighter baselayers allowing you to make use of it later into the spring when things start to warm up. With three big pockets on the back and a little on on the right side for bar or gel wrappers, this piece can be worn without a jersey underneath. The tights have windproof and water-resistant fabric in strategic areas for maximum protection. The brushed fabric insulates very well. The ergonomic fit of the tights is excellent with the seams featuring flatlock stitching that bind together the panels resulting in excellent comfort against the skin. The cuff at the base of the leg has an elastic stretch keeping the tights in place at the ankle, a much preferable solution to a zipper in my opinion. The tights don’t have a chamois so wearing your cycling shorts underneath will be necessary. I am always concerned that this will lead to the outer tights moving around over my bibs but the POC Essential Thermal Tights stayed sung against my lower body. The tights are very comfortable with the pre-bend knee ensuring minimal bunching and the overall fit being spot on. The light shoulder straps are wide and hold the tights in place. Reflective POC logos and other details will help with visibility on the road but don’t affect the esthetic of the pieces which have a very minimalist design. The pieces currently are only available in black. The jacket does a great job of cutting the wind. On a cool blustery day where I spent most of it riding in crosswinds, I appreciated the cut of the jacket which didn’t flutter in the wind. While it did a good job of protecting me from the cold breeze on the day where the temperature hovered around 4 C, I also didn’t overheat overextended hard efforts. In very cold weather, the tights withstood well. The insulation feels like enough to keep me riding well into the negative temperatures. 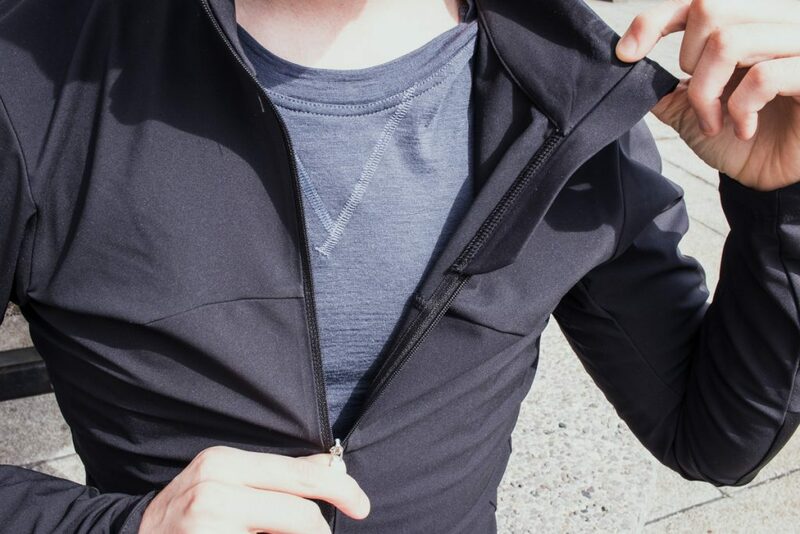 With the jacket, you may need to add a warm baselayer but its wind cutting ability will be a sure advantage in even colder weather than I rode in. In the spring, the jacket should serve you until about 12 C while you need to reach for something a little lighter on your legs before that. While neither piece is entirely weather sealed, in light showers and flurries they got the job done. You will still get soaked if you keep riding in a downpour, the pieces withstand lighter inclement weather very well. These pieces will certainly be a welcome addition to any cyclists wardrobe this spring. With quality construction, excellent fit and protection against the elements you can get more riding in when your riding friends wait for better weather. 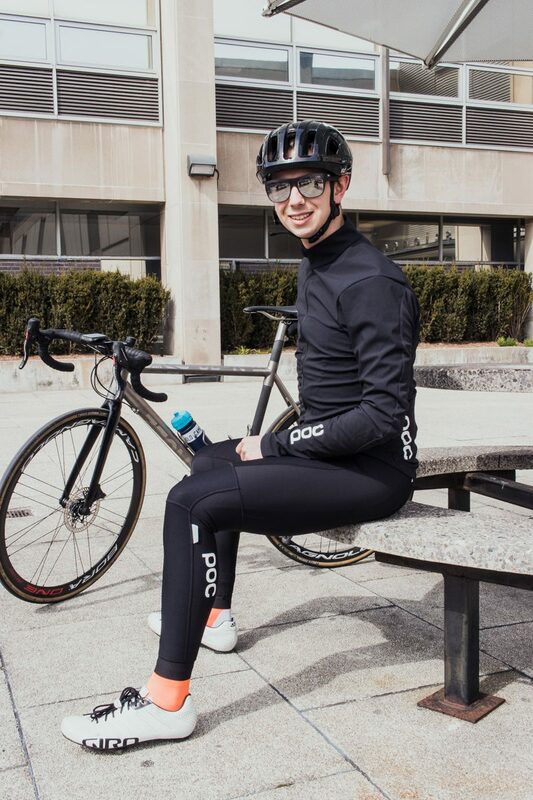 The comfortable fit should suit racers and recreational riders alike and the stylish minimalist design is a welcome change from the performance esthetics of so many foul weather pieces of apparel. The Essential Road Windproof Jersey retails for $210 and the Essential Road Thermal Tights at $240.